Get affordable Security Camera Installation on Newport Beach, CA and CCTV equipment with commercial quality and 2 years warranty. We have been working on Newport Beach, CA since 2005. When you want to buy a security camera system you’ll find the next problem; how to balance quality versus price? Besides this how you can find a retailer or manufacturer with a good level of customer service and support? It can be difficult to find out these entire factors. To find about this the people rely on reviews. With Protection4less you don’t have to worry about, price, quality or professional installation. 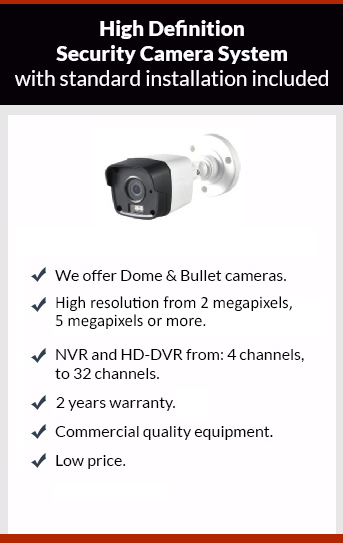 We only sell commercial quality security camera equipment with 2 years warranty. If you want the best CCTV solution to your business or home just call us.